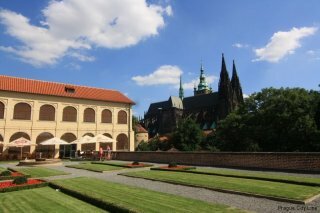 Our next stop in the Prague Castle area will be related to one of the most important buildings. 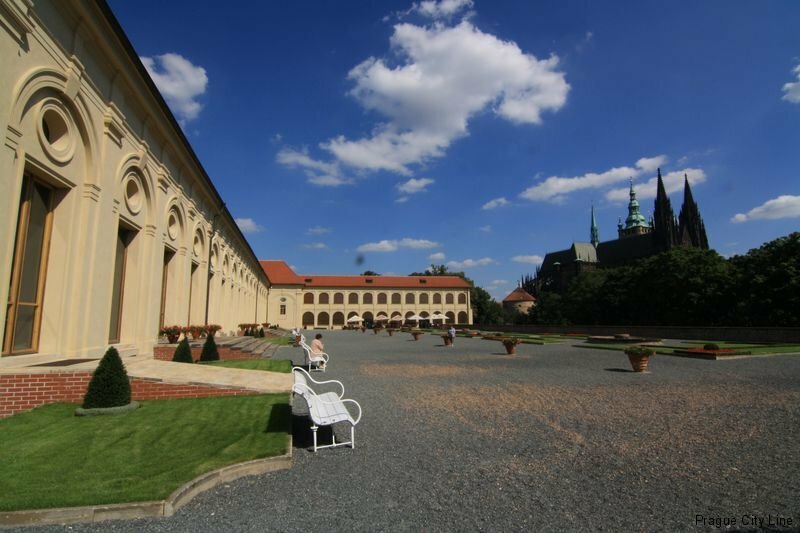 This time our destination will be Prague Castle Riding School. So, let’s follow the clatters of the horses’ hoofs and have a look at another significant historical building. 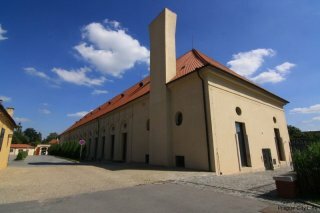 This unique building was built in the nineties of the seventeenth century. 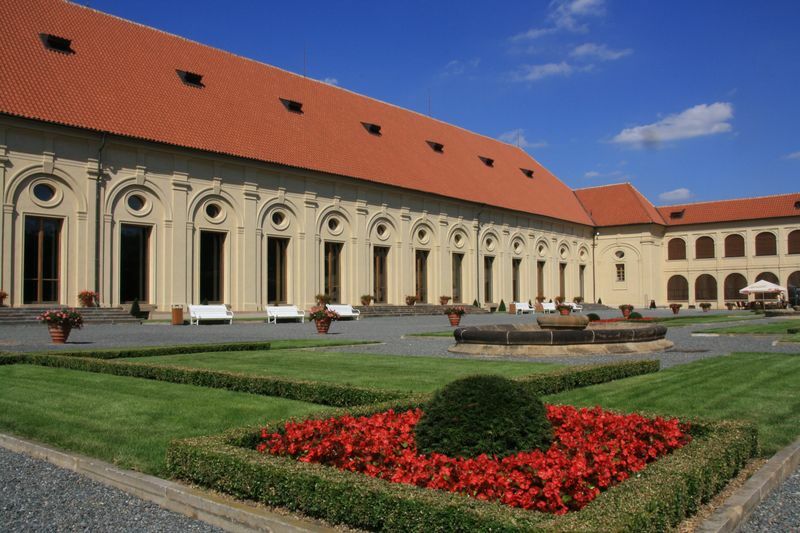 Until then the nobility enjoyed the horse games in the near Ball Game Hall, located in the Royal Garden. There were held tournaments and horse riding competitions and many other competitions, used mainly for entertainment of the nobility. 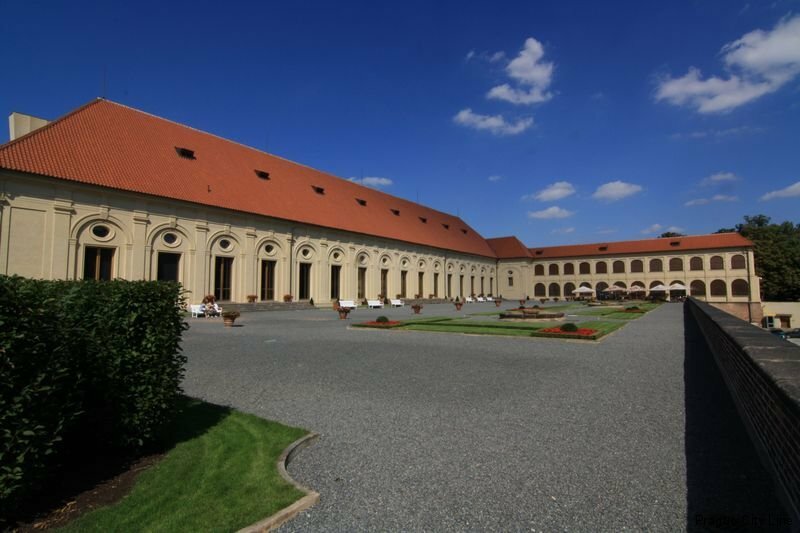 Originally the building was used for Equestrian Training and Equestrian Entertainment of the noblemen. This time reminding two sculptures located in the building facade. Riding School burned down in 1760 and had to undergo the first reconstruction. Thanks to that the Riding School got a new roof, which has survived till today. The building of the new Riding School was composed of several parts. The largest of them was the Winter Riding School, which was used for entertainment in the winter season. Then the Summer Riding School and the Riding Courtyard became part of the Winter Riding School. 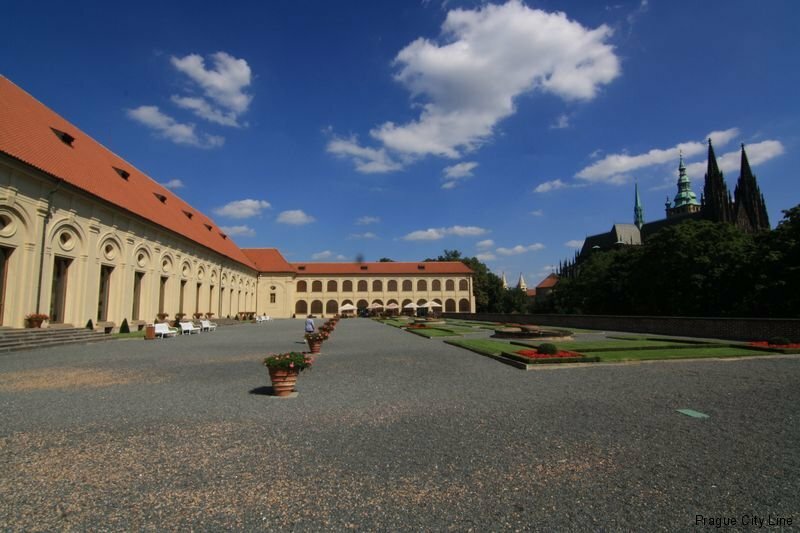 First of all, the Riding Courtyard was used for economic purposes. Of course, the horse stables couldn’t be missing here. All these new buildings date back to the sixteenth century. A beautiful garden was built on the south terrace in the fifties of the twentieth century. The garden was located in the original track of the Summer Riding School. This beautiful garden has survived till today and you have a chance to see it here. 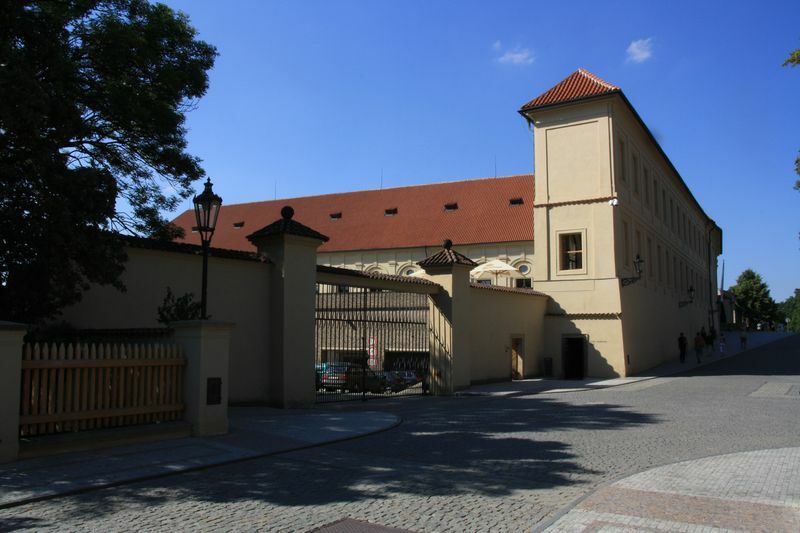 The facade of the Prague Castle Riding School boasts its magnificent Baroque elements, which originate from the late seventeenth century. You cannot miss this facade, because it forms the biggest part of the street called “By the Powder Bridge”. 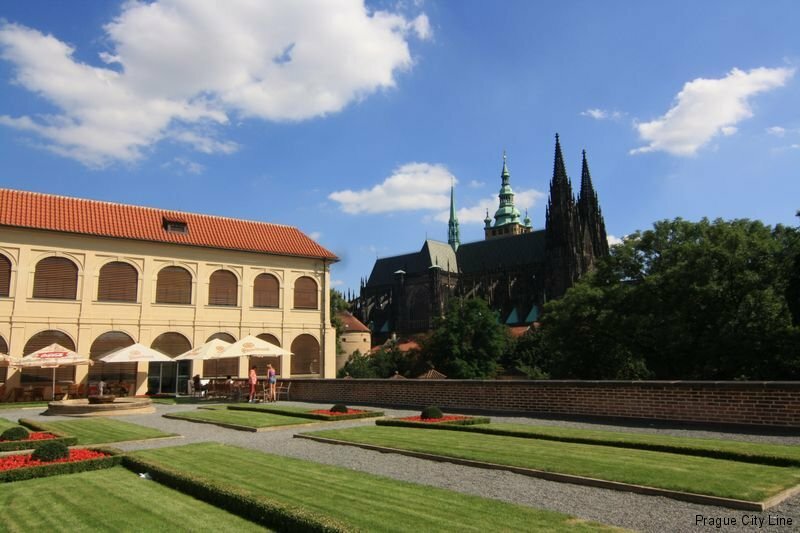 After passing this street and via the Deer Moat you go directly to the second courtyard of the Prague Castle. The former Royal pheasantry was located behind the Riding School with an adjacent pond. There were breeding fish and also the pond served as a water reservoir for the gardens. The pond was fed by the Emperor’s drains. Nowadays Lumbe’s Garden is located behind the pheasantry together with the Lumbe’s villa. 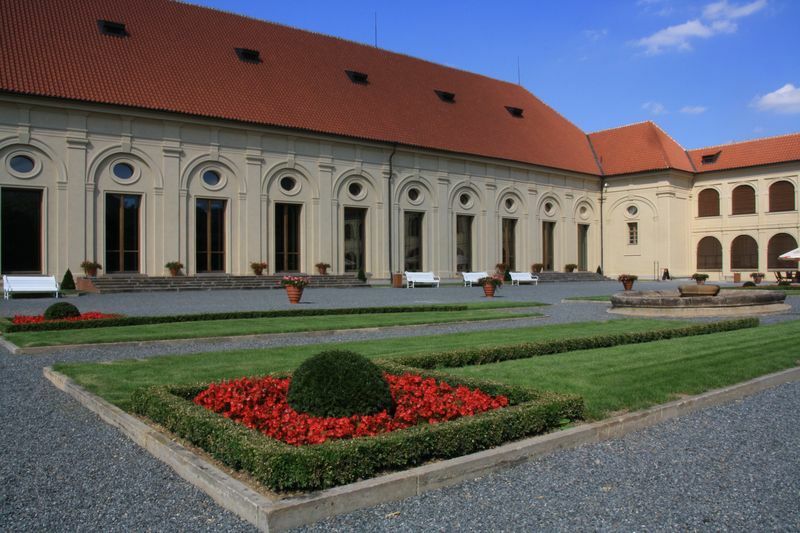 Now it is a residence of the Czech President, Vaclav Klaus. What exactly happened to the Riding School? Over time, this building was given to the army, as well as other neighboring buildings in the surrounding area. 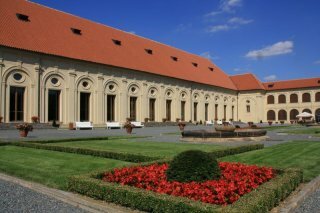 For example the Royal Summer Palace or the building of the Ball Game Hall. In the course of time, soldiers established their store house here. 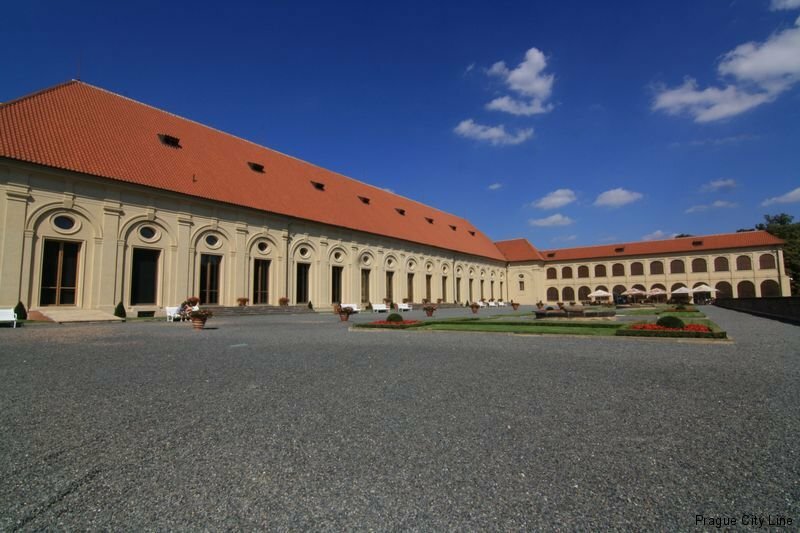 The Riding School was converted into an exhibition hall and a gallery in the middle of the twentieth century. Later on, garages were built-up on the area of the open Summer Riding School. At present, there are regular exhibitions of the most significant artists. You should visit some of these exhibitions. They are really worthy to be seen. Definitely, you will not regret.